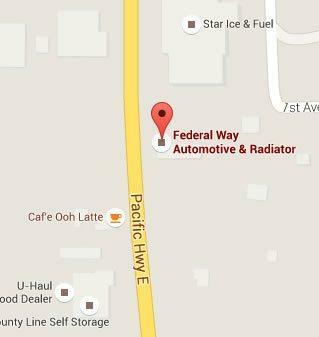 When it comes to transmission repair, Milton knows Federal Way Automotive & Radiator is the go-to name in the area. We offer affordable transmission repair, transmission replacement, and transmission maintenance to keep your car or truck running strong. Whether you have fleet vehicles, a domestic car or truck, or a foreign vehicle, we can work on any transmission on any vehicle of any age. How can I keep my transmission from breaking? 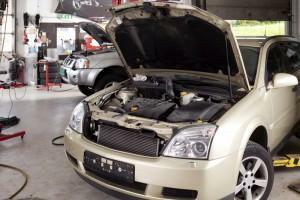 Your best bet in avoiding costly transmission repair is to bring your vehicle in for regular maintenance. When you come to us for tune-ups, we have a multi-point check that goes over much of your vehicle’s engine and transmission. We look for parts that are getting worn and replace them before they become a problem. In the unfortunate instance when a repair is necessary, we’ve got you covered. Our ASE certified mechanics are experienced with transmission rebuilds or replacements and get the job done right. And we go one step further. We offer a 12 month/12,000 mile warranty on all labor and parts. If your transmission is behaving strangely, check the transmission fluid first! If you aren’t sure how to do so, check your owner’s manual. If you’ve misplaced or lost yours, see this guide of owner’s manuals to find one for your make and model. Everything starts with a thorough inspection of your transmission and related parts. Our shop offers the most up-to-date diagnostic tools to get to the heart of your vehicle’s problems. 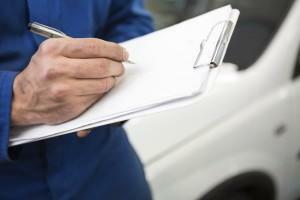 Once our certified technicians inspect your car’s transmission, you will get a detailed report of their findings. Before doing any more work, we go over this information with you in an open, honest conversation. We believe in having open communication with all of our customers, and you will never be pressured into doing more work that you are comfortable with. What’s wrong with my transmission? At times your transmission may have something as simple as a leak in your transmission fluid. Other times it may be such an involved repair and be so badly damaged that your vehicle is unsafe and we’ll suggest a transmission replacement. Either way, you will get the truth about your transmission when you come to us. We are happy to discuss the details of the issue and make suggestions based on your decisions. What kinds of repairs do you do? Come to us for transmission service! If you start feeling the warning signs of transmission trouble such as difficulty shifting, shifting at the wrong times, or delayed engagement, don’t wait until things get worse. Waiting on transmission problems can, in some cases, cause a small problem to become a much larger, more costly one. Come into our friendly shop, fill out our contact form, or give us a call today if you notice problems in your transmission! When other’s said junk it Federal Way not only said fix it, but they said we can fix it at a good price. Great Job!